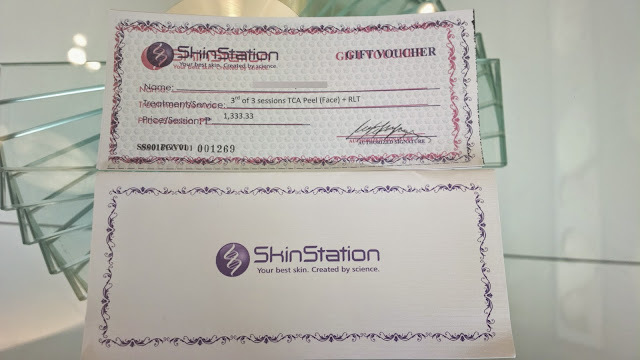 Based on their blog, the effect of micro needling or derma roller is similar to what laser does which is to help resurface skin by poking tiny microscopic holes into the deeper layer and introducing collagen to fill in the gap or hole. I've tried micro needling before and didn't really like it. I even called it a fail. I only tried it once though so I can't really say whether or not it works after several sessions. As for laser, the local branch I often go to doesn't offer it and I have to visit other branches for the procedure. I may try it in the near future. But for now, I'd go with TCA peel. 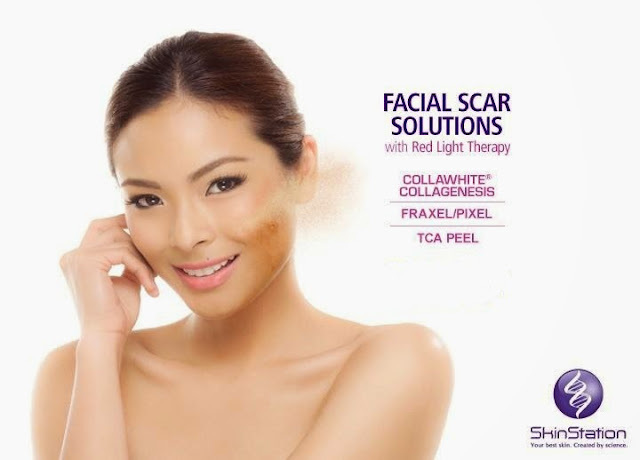 Other than acne scars, TCA peel also works for other issues such as pimple marks, fine lines or wrinkles, and other superficial blemishes. A cleaning through facial is often recommended prior to peeling. Applying TCA or trichloroacetic acid lasts for less than 30 minutes. The chemical will be applied section per section on the face by a licensed professional (dermatologist) and not by skin care attendants. The dermatologist will apply a certain solution after the TCA is absorbed by the skin in order to lessen the burning sensation. I have only completed one session and felt the peel a few days after. Peeling only lasts for a few days and no more than a week. At which time, you should be applying sunscreen (which is also available at SkinStation) at least 2 times a day when you don’t really go out. The sunblock is to be applied every 4 hours when skin is exposed to sunlight. But since I’ve only tried it once, I haven’t seen any major effect except for the fact that the skin had peeled. The effect will be more visible if you undergo peeling with TCA for at least 6 times. And since multiple sessions are recommended for better results, you can save money by purchasing the package of Php 4,000 for 3 sessions.